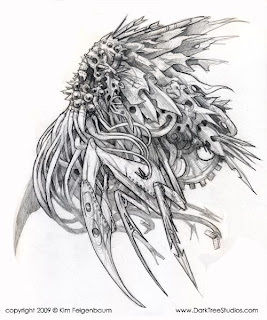 I like the idea of mechanical creatures, especially ones inspired by crustaceans or insects. This guy reminds me of a mecha nautilus mixed with a bit of giant squid and some crab. It was created for a weekly activity on Jon Schindehette's blog "Art Order".